For much of the last century Bradford had two professional football teams. 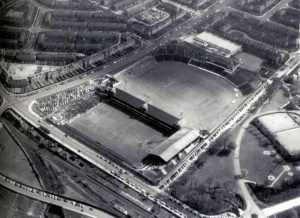 With time one club prospered while the other, Bradford Park Avenue, reduced in popularity and eventually its ground was abandoned. Decline in popularity hardly sounds like a cause for celebration, but by using an innovative archaeological and artist narrative a book has been published that has bucked the trend in publishing of sports books. The William Hill Sports Book of the Year award is eagerly awaited by many in the book publishing world. It may not have the status, or the cash value, of the Man Booker although the organisers say that it is the richest and most prestigious sports writing prize in the world. The benefit for the winner, apart from the glory, is that the 4 weeks between the announcement and Christmas is a welcome bonus window for sales. Of the 28 previous winners, the subject matter has been distributed between 11 sports. Last year’s victor was a treatise on the early surfing scene as lived and reported by Bill Finnegan. Three of the sports that have featured frequently – cricket, boxing and football – have all provided heavyweights in the pantheon of sports writing. The other commonly featured sport is cycling, and the subject matter illustrates the breadth of the award; the cycling books mirror the popularity of a fashionable sport and cheating, both sure winners by any measure. The 2017 shortlist has some classic offerings from the top represented sports; biographies of Muhammad Ali, Bob Paisley and Tom Simpson. Among the other books we see the spectrum of great sports writing; the extraordinary life of Béla Guttmann, the ‘swimming suffragettes’ and the never-say-die sporting life of the jockey Declan Murphy. 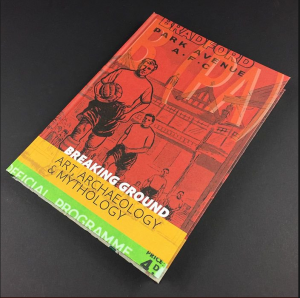 The seventh and final book is a bit different and expresses a form of sports book that has never come anywhere near the shortlist in previous years: Breaking Ground: Art, Archaeology and Mythology. 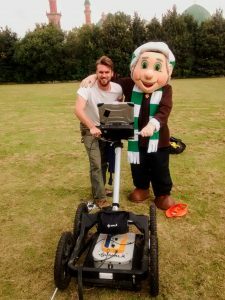 The book is based around the former home of Bradford Park Avenue (BPA) football club. On face value the decaying remains of ground belonging to a football club that is not even the top club in Bradford looks local and perhaps even mundane. The Chair of the award has commented that football archaeology even featuring as a theme in the award would have been at least a 50/1 shot. What makes this book important given the prevalence of premier league prices, ever changing player loyalties and often uncaring club owners? Well, it isn’t a traditional book based around celebrities – unless you remember Kevin Hector, you probably haven’t heard of any BPA players; nor is there a story – it can be described as a collection of essays; there is no ‘heavyweight’ writer involved – in fact, there are three editors, which doesn’t sound like a prize winning formula. What is evident is that there is a belief that BPA deserves to be documented on behalf of all clubs that contributed to the hey-day of a sport that was ingrained in the social fabric towns or cities the length of the country. As part of that endeavour the book provides a space for reminiscences. It would, however, be wrong to describe the book as inherently nostalgic. There is a realism throughout that the supporters remain content to feel like underdogs and will wear that badge. To understand the book, you need to comprehend the strategy that captured the project. Underpinning the vox pop element is a mixture of rigorous data gathering and narration using archaeological techniques and a repurposing of data and events in an artistic fashion that provides an almost ethereal encounter with the near-past; while there is nostalgia in, say, reproducing the photo of a goal at the ground, it is done using project members emphasising the fans’ view of the event. The archaeological element of the project included a blend of hi-tech prospecting (geophysics and laser scanning) and excavation used in a forensic fashion to unearth key parts of the story of the ground. 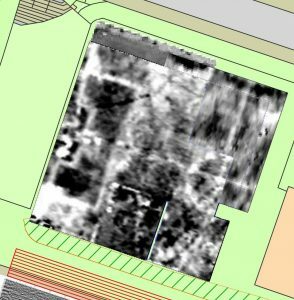 Who would have thought that the long-gone pitch markings would survive in the soil and be mapped as coherent electrical signals? The spatial distribution of coins around the goal net were not evidence of hooliganism but money thrown towards collecting buckets that were used to generate much-needed income. These feel like human stories that could be told across the globe. 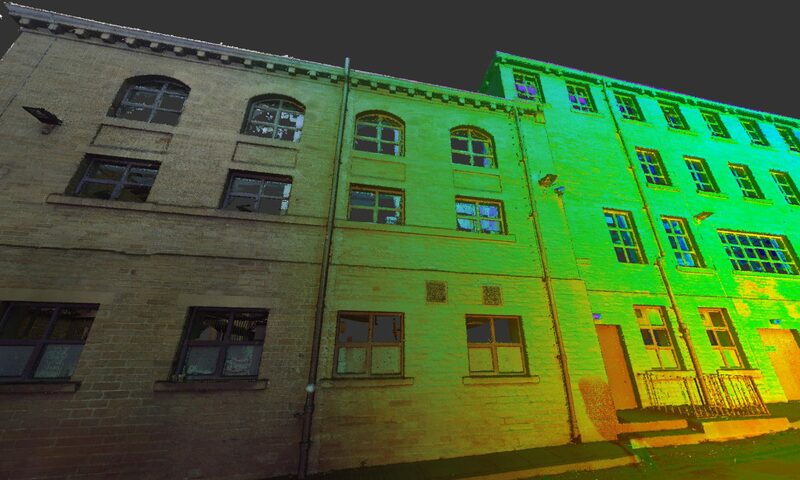 Earth resistance image produced by University of Bradford. The detail shows the long-gone pitch, including the Penalty Area and the Centre Circle. 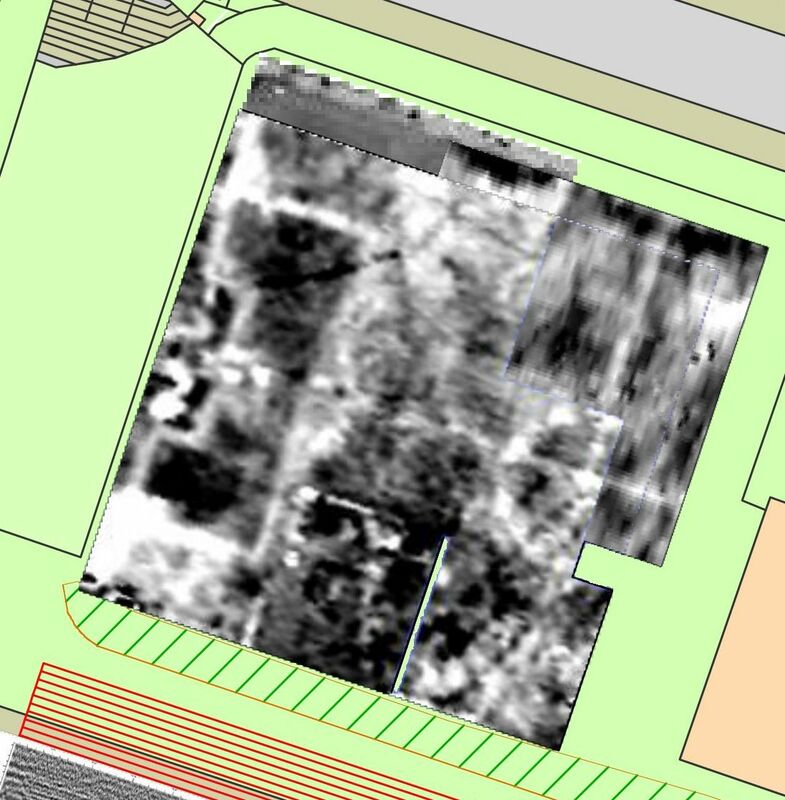 There is secondary use of the geophysical survey including re-imagining the data as sound installations on an accompanying CD. The outcome is thought provoking audio that captures the evocative nature of the data and the vibrant setting of a football ground. The utilitarian nature of the archaeological information is, literally, processed and amplified by the artists involved. Ultimately the question is why should we care if books like this succeed? The answer lies in the ephemeral nature of the memory of the near-past. A case in point is the eradication of personal records of world war one, where there has been a race to document that tragic chapter. The next challenge is to create the social context that framed events such as the world wars – football, and the cohesion that fanatical support requires, is part of that story. A final consideration is the book itself which, as you can imagine given that the artistic nature of a significant theme of the project, is quite beautiful. More surprisingly is the fact that the book is crowd funded, which makes it unique in the history of the Sports Book of the Year. The book exists because the people on the terraces want it to. Would you bet against it wining? Project funded by National Football Museum and Arts Council England.